You can rely on our team to get your vehicle road-ready again after a collision. 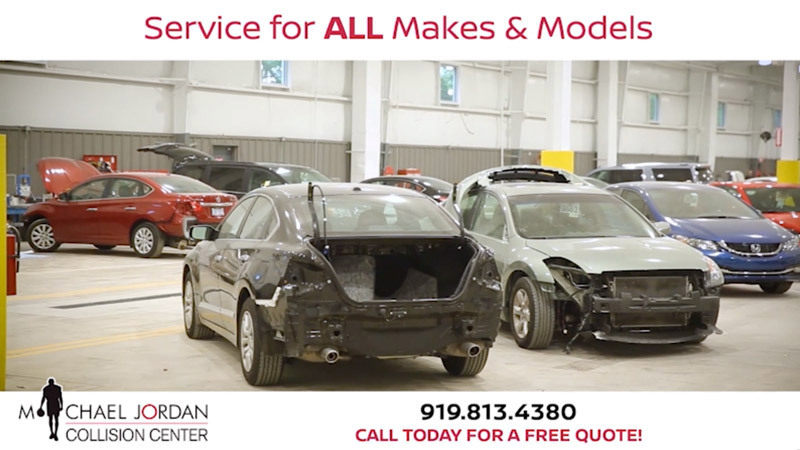 We are the largest collision repair center in Durham, NC with 58,000 sq ft of state-of-the-art technology and equipment. Michael Jordan Collision Center offers excellence and dedication in workmanship. Additionally, you’ll enjoy great perks, such as on-site rental vehicles, free repair estimates and more. Our friendly and knowledgeable experts will repair every make and model vehicle. This team is dedicated to providing each of our customers with high-quality service at exceptional value. We are a direct, authorized repair facility for Nationwide On Your Side, State Farm Select Service, USAA Stars and Metropolitan Care.